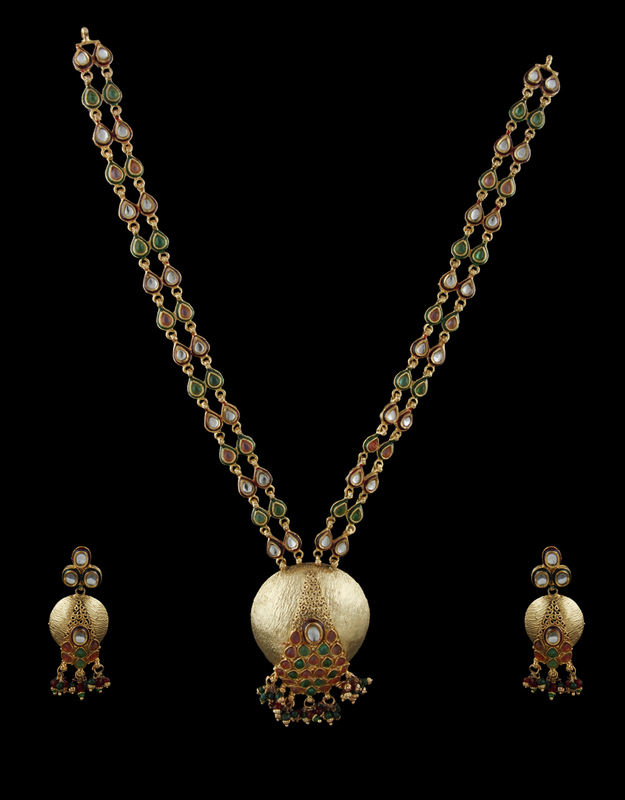 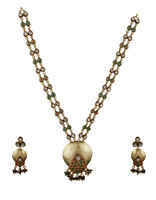 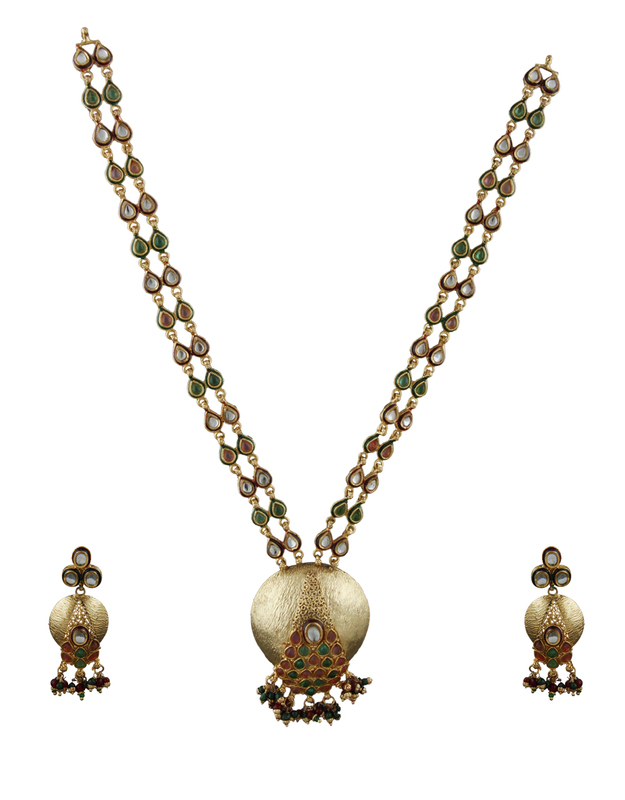 Anuradha Art Jewellery presents this multi colored necklace set which is perfectly studded with polki stones & kundan. Crafted from 40% silver & golden polished copper. 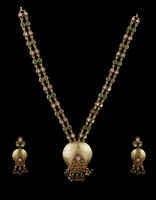 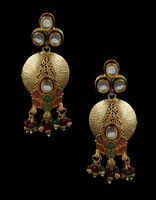 This set will compliment most of your saree. 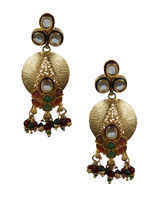 It is fine in quality & highly durable.